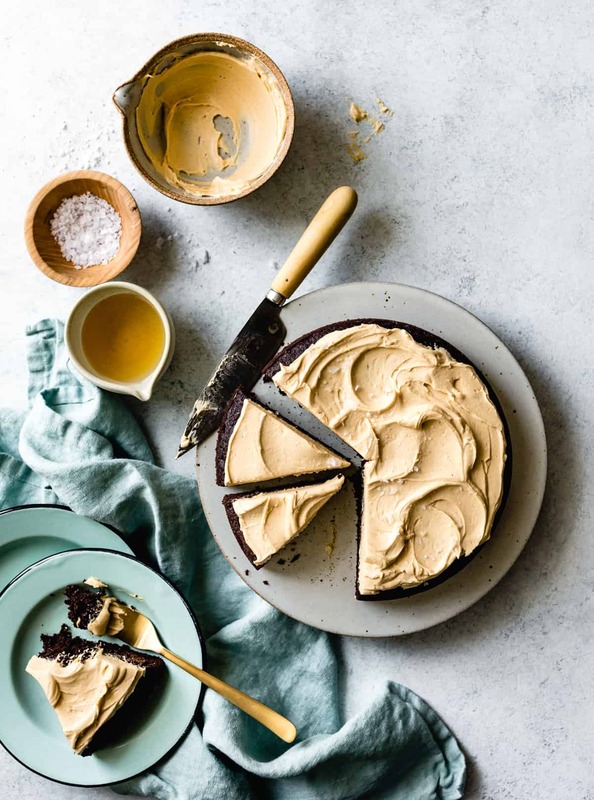 This stupid easy, gluten-free, one-bowl chocolate cake with peanut butter frosting gets big flavor from roasted peanut oil, malty teff flour, brown sugar and buttermilk all crowned with swirls of salty frosting. Now with a vegan option! Thanks to La Tourangelle for sponsoring this post! Chocolate peanut butter lovers rejoice! 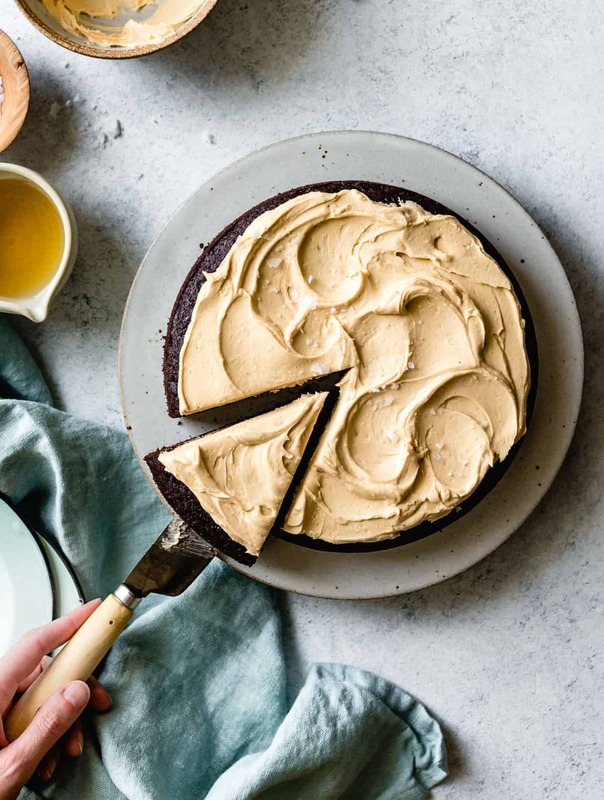 I’m so excited to share today’s recipe because it changed my mind about three things I used to feel “meh” about: cake, peanuts, and frosting. In my book, cake is better than no dessert at all, but I’d take pretty much any sweet (pie, tart, crisp, cobbler, custard, ice cream, or good bar of chocolate) over it. Peanuts and their byproducts are only acceptable when chocolate is involved. And frosting has to have cream cheese in it to be rendered edible. And yet I would gladly eat this cake and all its offending components every day of my life and be perfectly happy. In reality, it’s layer cakes that I used to loathe. This stems from the monstrosity of a wedding cake I had to assemble in pastry school, where I abused a perfectly decent carrot cake by hacking it into squares, layering it with an enormous amount of cream cheese frosting, and spackling it into a three-tiered monument. Several crumb coatings, basketweave frosting, and plastic pillars later, it crumbled into a pile of dry cake shards when we finally cut into it. “What’s the damn point?” I wondered. Luckily for all of us, sheet cakes are the thing these days. Besides being quicker and easier to make, these single-layer cakes stay especially fresh because they need to be simply baked, then dressed in a layer of frosting, cut up, and eaten without much fanfare. You don’t need a stand mixer, springform pan, offset spatula, or piping bag. This bad boy can be in and out of the oven in well under an hour, then frosted and eaten soon afterwards. You can have cake on a weekday, no problem. And aren’t weekdays when we need cake the most? Plus, I know the best chocolate cake recipe that happens to be a snap to whisk together, and gluten-free to boot. The base comes from GF baking maven and my very good friend and colleague Sarah of Snixy Kitchen. 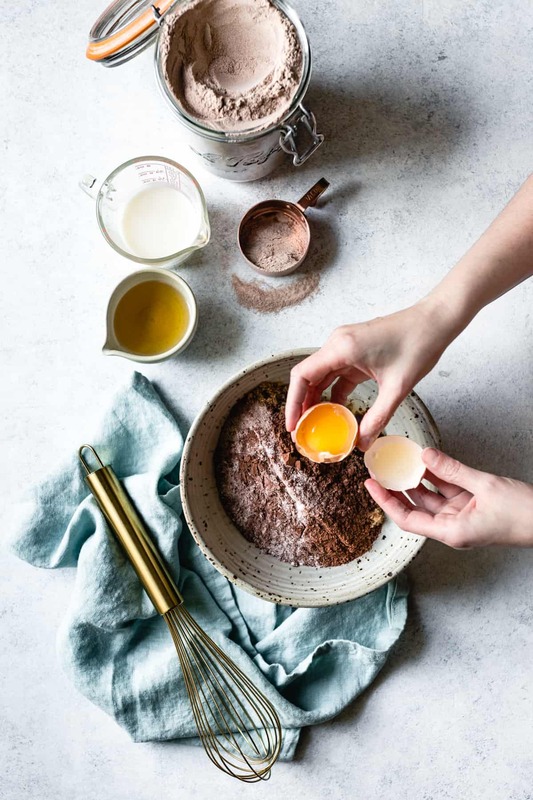 I first took a bite of her chocolate cupcakes several years ago, and I haven’t so much as looked at another classic chocolate cake recipe since. Super moist and tender, with a springy crumb and a bit of chew, it has a deep chocolate flavor and just the right amount of sweetness. I’ve made Sarah’s chocolate cake many times over the years, and I’ve become especially fond of a teff flour version that I whipped up one night when I had some leftover boozy ganache that needed a cake to top. I love when an alternative flour bests its wheaty counterpart, as is the case here. Teff has an earthy flavor similar to malted chocolate milk (it smells exactly the way I remember Ovaltine tasting), thus it pairs beautifully with chocolate. 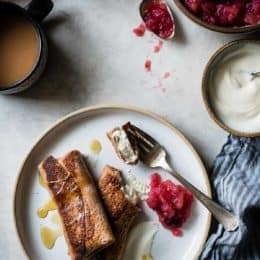 It’s also very high in protein for a grain, and this protein gives pastry doughs and batters enough sturdiness to trap air pockets, enabling them to bake up light and fluffy. This cake batter only needs two flours – teff and sweet rice – to achieve a springy, slightly fudgy crumb with a touch of textural interest. When the folks at La Tourangelle asked me to bake something with their award-winning roasted peanut oil, it was this cake that popped into my head. Peanuts on their own don’t do much for me, but add chocolate to the mix (and preferably a hit of flaky salt) and it’s a whole other story. 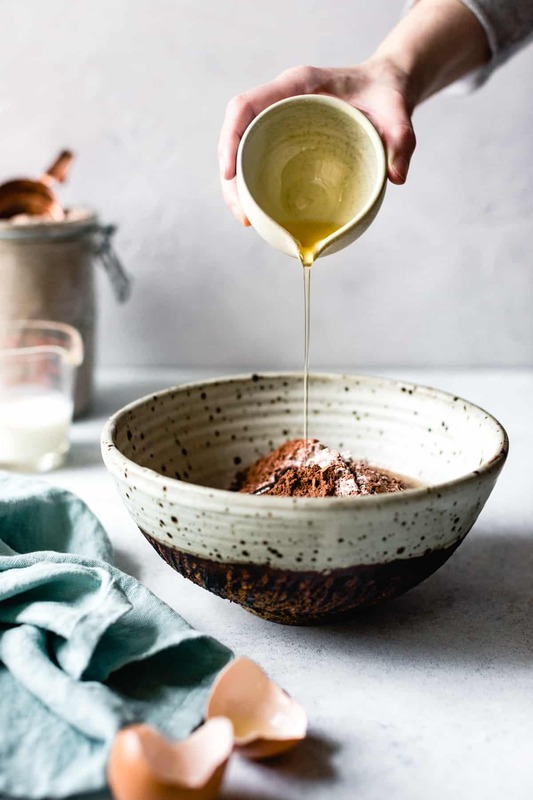 I knew the chocolate teff cake base would partner well with roasted peanut oil, but I wasn’t prepared for just what a game-changer the oil would be. To make the oil, fresh peanuts are roasted and pressed right here in California. Minimal processing results in a softly toasted flavor and golden hue. Here the oil adds warm, nutty notes to the cake, blending seamlessly with the malty teff flour and earthy brown sugar. 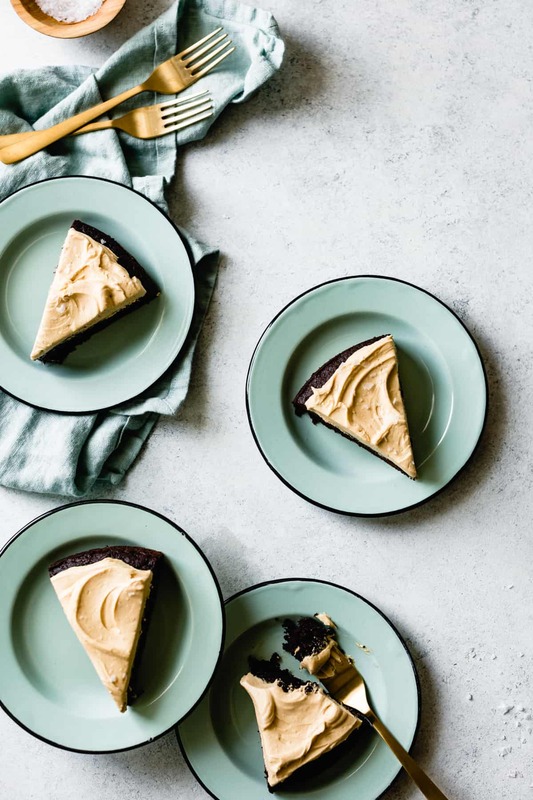 Just three main ingredients go into this addictive peanut butter frosting recipe: butter, powdered sugar, and peanut butter. I use natural creamy peanut butter – no need for any additives here! Vanilla and salt punch up the flavors. 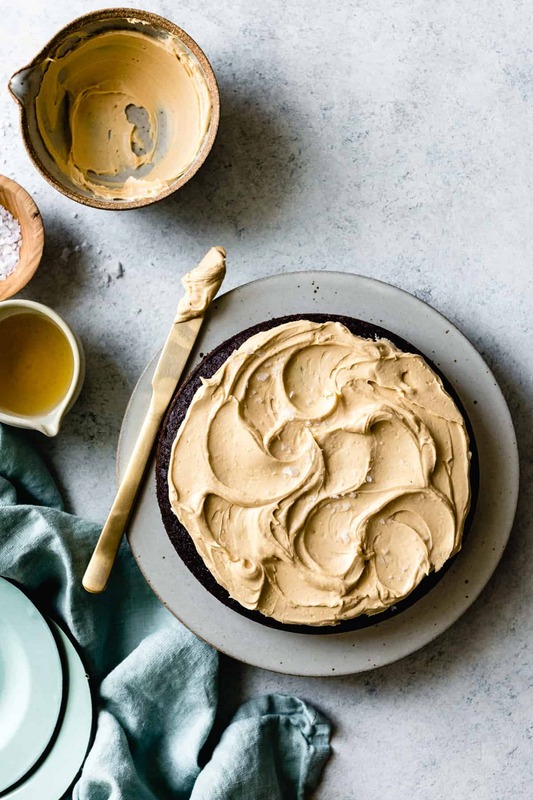 Whipped into fluffy clouds of salty-sweet goodness, this peanut butter icing makes a luscious topping for chocolate cake (or for licking off spoons). 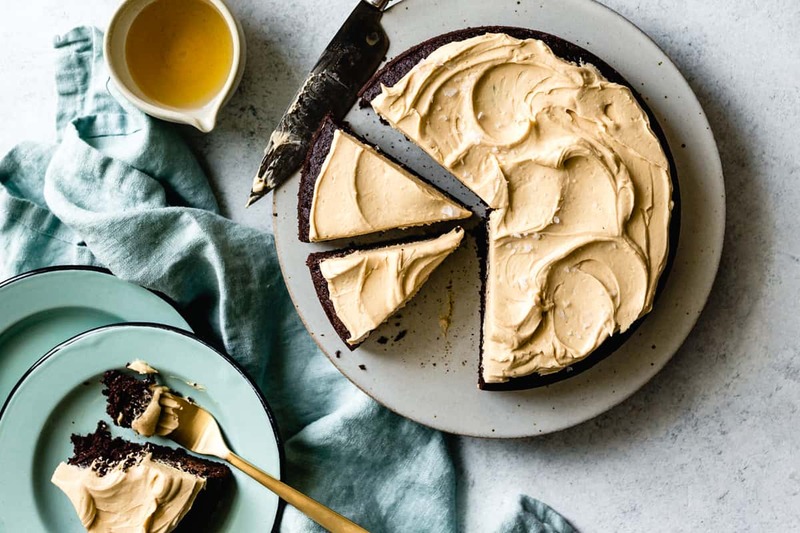 This chocolate cake with peanut butter frosting is like a big gooey chocolate peanut butter cup that you can wash down with a cold glass of milk (or my favorite – almond milk). Thanks to the roasted peanut oil and salted peanut butter frosting, you truly get peanut goodness in every bite. I’ve made this cake four or five times now between testing and shooting, and I still can’t keep my paws off of it. 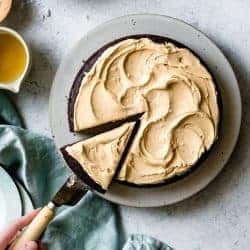 My dear friend Emma tested a vegan version of this cake! I’ve added the substitutions to the recipe below. Chocolate peanut butter lovers rejoice! 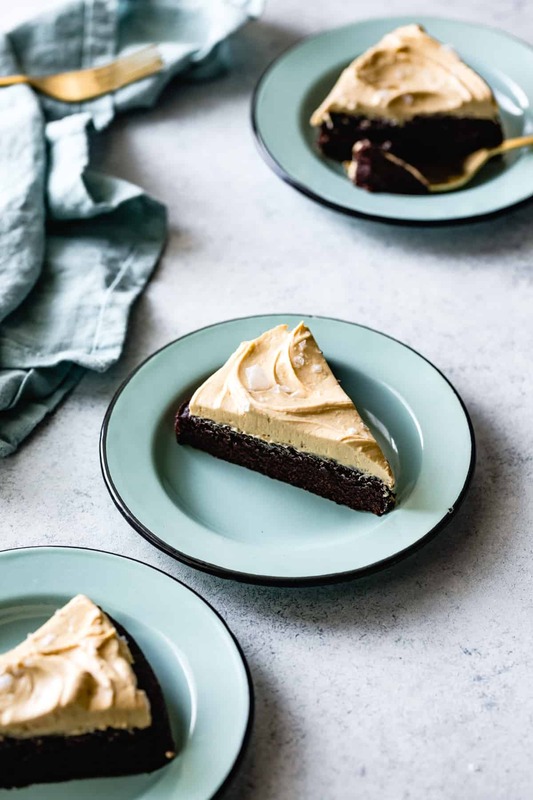 This super moist, easy peasy chocolate cake topped with salty peanut butter frosting tastes like a giant, gooey peanut butter cup. Roasted peanut oil is the secret ingredient that gives the cake extra peanut flavor without the textural bother of nuts. But if you don't have any on hand, feel free to use sunflower oil in its place. Cake recipe adapted from Snixy Kitchen. To turn this into a layer cake, double or triple the recipes and stack two or three layers atop each other. Or double the recipe and bake in a 9x12-inch pan to feed a crowd, increasing the baking time as needed. I've added a vegan variation below! Position a rack in the center of the oven and preheat to 350ºF. Butter an 8-inch round cake pan and line the bottom with a round of parchment paper cut to fit. In a large bowl, sift together the teff, sweet rice, and tapioca flours with the cocoa powder, baking powder, baking soda, and salt. Add the brown sugar, buttermilk, oil, vanilla, and hot water to the batter. Add the egg and quickly whisk the batter until smooth and no lumps remain. Pour the batter into the prepared pan and bake until the top springs back to the touch, 18-22 minutes. Remove from the oven and let cool at least 10 minutes. Remove the cake from the pan, peel away the parchment, and place on a wire rack to cool completely, 20 minutes. Transfer the cake to a serving board or platter. 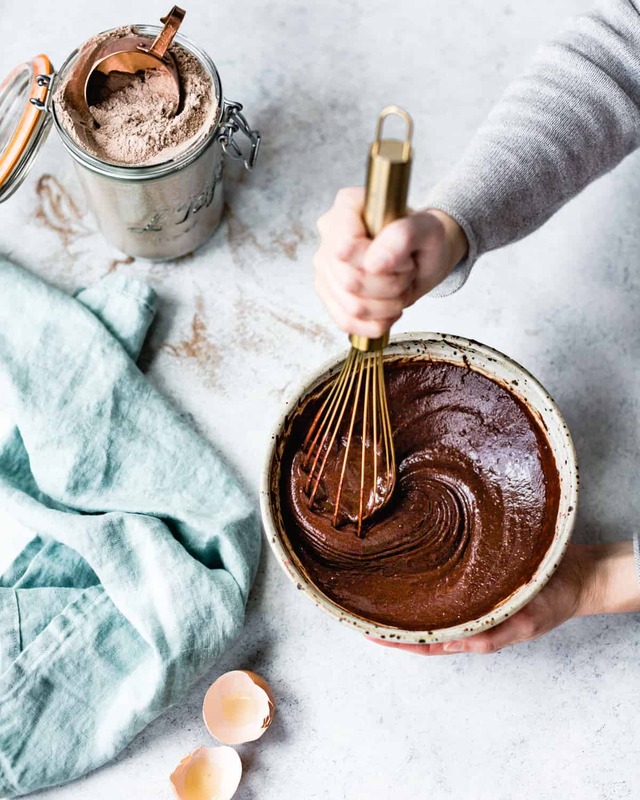 To make the frosting, in the bowl of a stand mixer fitted with the paddle attachment (or in a bowl with a wooden spoon) beat the butter and sugar until smooth and creamy. Add the peanut butter, vanilla, and salt. Increase the mixer speed to medium and beat until light and fluffy, 1 minute. Spread the frosting over the cake. When ready to serve, sprinkle the cake with pinches of flaky salt, cut into wedges, and serve. 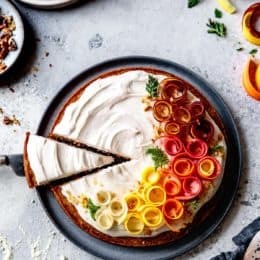 The cake keeps well for several days; I like to store it airtight in the refrigerator, but be sure to serve it at room temperature so the frosting softens. Vegan Variation: Use 1/4 cup aquafaba (the liquid from canned chickpeas or other white beans) in place of the egg. Thin plant yogurt (such as cashew) with plant milk (such as oat) until it's the consistency of buttermilk and use in place of the buttermilk. Use vegan butter in the frosting in place of the dairy butter (I'm partial to Miyoko's brand), decreasing or omitting the salt if the butter is salted. The cake may need a slightly longer bake time, so be sure to test it with a toothpick for doneness. Oh man this cake looks delicious and that fluffy peanut butter topping…heavenly! Now I know just what to do with that unopened bag of teff I bought awhile ago. BTW, just want to let you know I was lying in bed reading your fabulous cookbook last night. 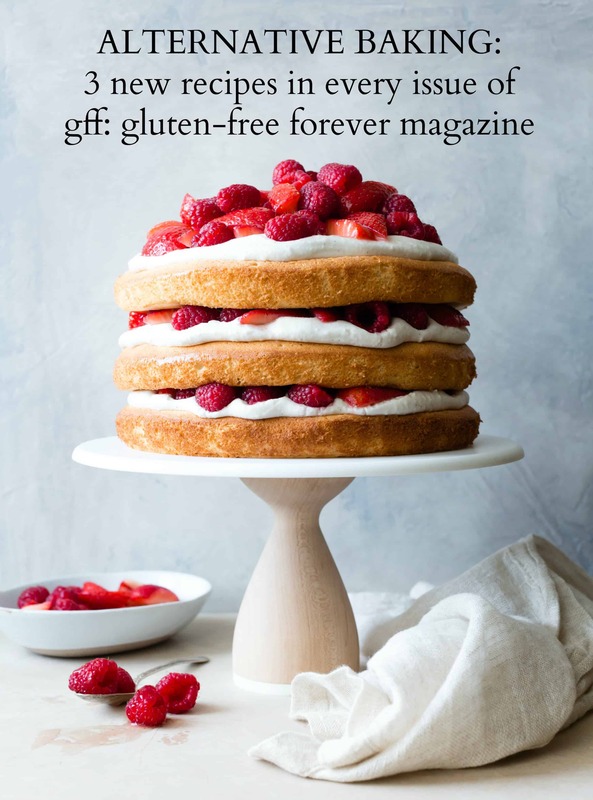 I love going back to it from time to time to re-read your very detailed descriptions of all the different flours to inspire me in my own gluten free baking journey. Thank you for so much inspiration and information! This is stunning, per usual! 1. My cupcakes bring all the boys to the yard. You can eat my cupcakes anytime you want. 2. But only if you bring me a slice of this beautiful cake. And Lucas too – he wants one. I never comment on recipes because until now I had no reason to. This cake is AMAZING! As soon as I read it I bought peanut butter and ran to my kitchen. I was not disappointed. I recently discovered your blog and had to purchase your book, which I have almost read cover to cover. Your pictures are gorgeous and your recipes are captivating. I will be making many more of them. As someone who has to eat gluten free, but loves desert, thank you!! Aw, this sweet note completely made my day! I’m so glad you liked the cake and that you’re enjoying Alternative Baker. That means so much to me! Those swirls! The flaky salt! I’m in love! 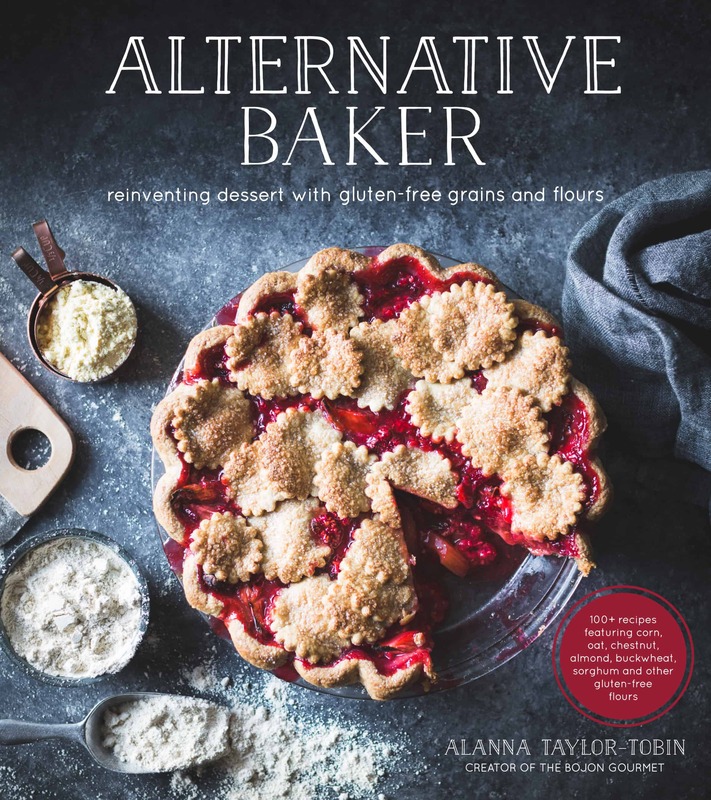 I recently have had to omit gluten, dairy and soy from my daughter’s diet and bought your book The Alternative Baker. I would like to know what milk substitute to use for buttermilk? The cake turned out amazing🤗Thank you for the substitutions. I used 40 ml almond milk and 40 ml cashew yogurt. For the frosting I used butter flavored crisco and there wasn’t a slice left at the end of the night! Oh, thank you for being the first to test the blend. Dairy gives me hives and I dream of chocolate amd peanut butter. Will def make this now. 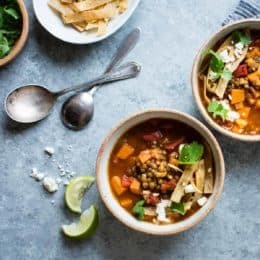 This is the first time I’ve been to your blog and I must say, not only does this recipe look incredibly delicious, but your photography is breathtaking! I might just have to try this recipe this weekend! I made this last night (just the cake – the icing is a bit indulgent for a weeknight). It worked beautifully with macadamia nut oil (I’m in Australia). Thanks heaps for an easy 1 bowl cake that is soooo yummy. Mac oil sounds dee-licious! So glad you liked the cake! I could spend all day on your blog! Your photos are STUNNING! Literally beautiful! This recipe looks delicious! You’re so talented Alanna! This cake looks so stunning, thanks for sharing. Aw, thanks for the note! I feel the same way as you do about cake vs. other desserts … until this cake! It is amazing! I baked it to share with my teachers as one of the treats at a training we had yesterday. They loved it and couldn’t believe it was gluten free! I’ll be making it again for a party tomorrow. I want to thank you for always creating and sharing such wonderful GF recipes. 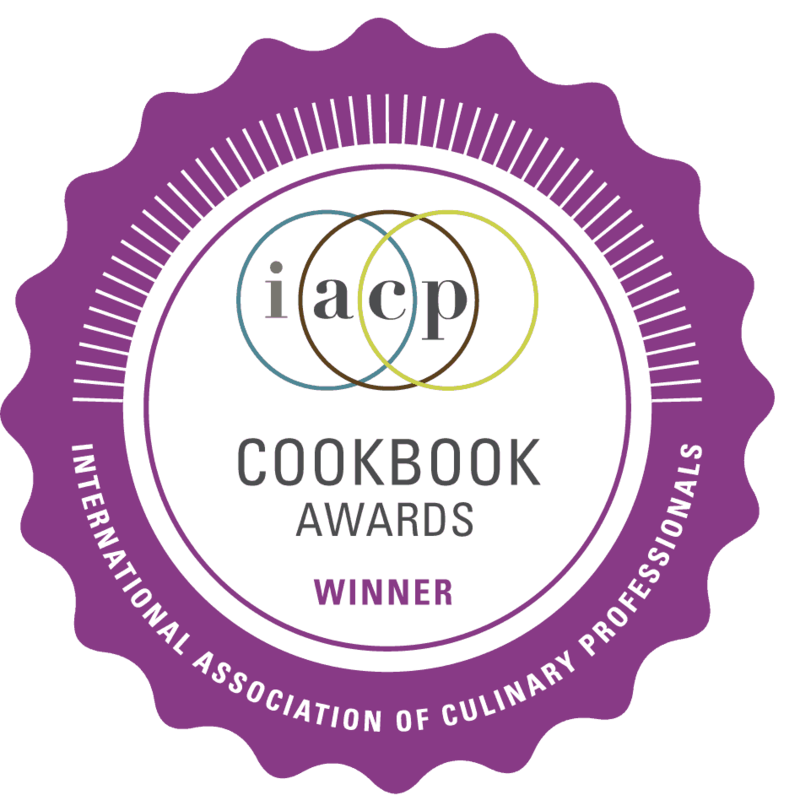 Your blog and cookbook have made my life with celiac SO much easier. And more delicious! Oh my goodness, that means so much to me to hear! Thanks a billion for the sweet note – I’m so glad you’re enjoying the recipes. There’s so much mediocre GF baking out there, I try really hard to make my recipes worth the effort. What lucky teachers you have! What are your favorite recipes, what do you find yourself making over and over again?!? What recipes on your website or in your book are a “must-try”?? I’ve really enjoyed every one of your recipes I’ve tried so far! Aw, thank you so much for the sweet note – I’m so glad you’re enjoying the recipes! Ooooh Awesome!!! :) :) Thank you! Everything I’ve made from your recipes rings true to my own personal taste. What first brought me to your blog are your pie/tart recipes… I am a pie fiend, and thereby a very discerning pie eater. Most times when I order a pie or tart from somewhere, I think… “Hmm.. I make it better.” Haha. And your recipes are freaking YUM, and I love the pastry chef expert advice you include. Now if you excuse me, I will be making (or baking) my way through this list of favorites from your book… ! This looks AMAZING! Do you use ivory or brown teff in your recipes? I made this and it was incredible! The roasted peanut oil makes such a difference, what a lovely flavor. Brought it to a family gathering and not one piece left!